Groupelec is a leader company for electrical panel building, at the service of electrical distribution and industrial automation in Morocco. Since 1994, Groupelec offers its clients a large range of integrated solutions, covering the entire electrical equipment’s lifecycle. The company has a recognized know-how for low-voltage electrical panels design (designed and tested in compliance with the IEC 61439-1&2 standard), as well as medium voltage for primary and secondary distribution. 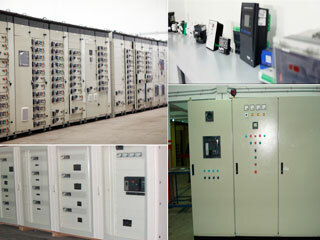 Its 2 000 m2 (21 000 square feet) mechanical and electrical workshop has a production capacity of 1 520 electrical pillars. As an expert in design, production and sales of electrical panels, customer care holds a special place in Groupelec’s commercial approach. Therefore Groupelec requires the most advanced technologies available on market. Since April 2015, Groupelec has selected Trace Software’s elecworks™ solution – ideally designed to meet panel builders industry needs. Indeed, elecworks™ proposes major features such as multi- user licensing, that allow several users to work at same time in the same project, while keeping data consistent in an SQL database, and an access to the largest parts catalog in the market, provided by Traceparts (worldwide leader in digital contents for engineering), to create realistic cabinet layouts reducing the time-to-market. Mr Souizi, Groupelec managing director, has no regrets about this choice: elecworks™ provides its design team with more efficiency, while securing the works: «Migrating from standard design solutions (such as AutoCAD, among others) to elecworks™ has enabled prized development time gains».